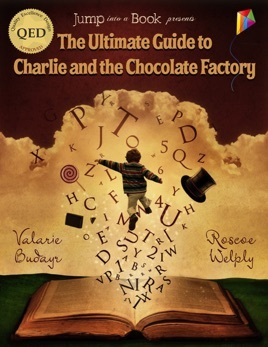 you through the Chocolate Factory with stops along the way to create, laugh and learn. 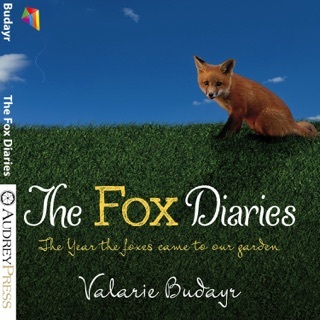 It reawakens the passion of “jumping” inside the pages with each chapter being a gateway into a magical world. handmade Willy Wonka hats, etc. 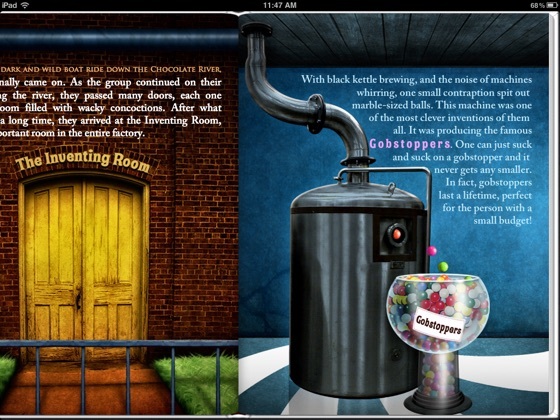 ), this beautifully illustrated book re-lives the wonder and amazement through Willy Wonka’s world of magic. 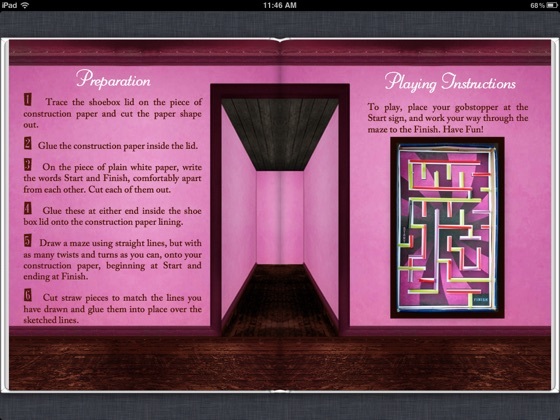 Readers journey through mazes, puzzles and games, with pattern downloads so they can create their own. The best part is that the adventures are done at the reader’s own pace. Experience the magic that only Charlie can create. • A multimedia experience that includes instructional videos for activities and animations. • With over 20 crafts and activities. 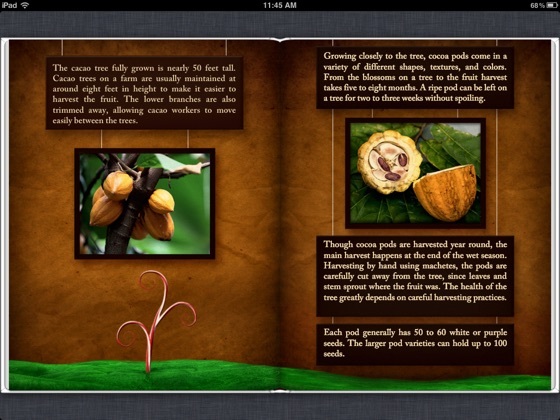 This is a wonderful interactive book with so many goodies inside. 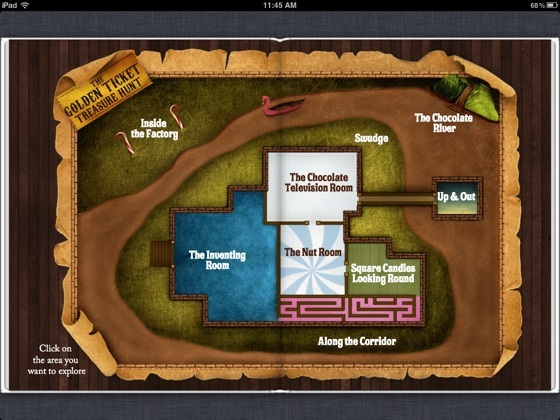 Charlie and the Chocolate Factory is a favorite in my family, so it was great fun to explore in the world of Wonka. There are lots of activities to enjoy with kids, embedded videos where you get to learn a bit more about what goes into his factory, beautiful artwork throughout. 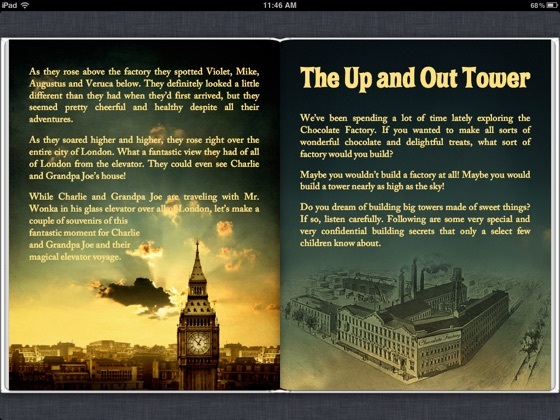 It's a sizable book, so good to read through a little at a time, and turn over to the kids to explore on their own. If you're a Charlie fan, this is a must-have. If you have kids, grand kids, nieces, nephews, work with kids or are a big kid yourself, you have to get this book. It's fabulous and hours of fun!